Over the weekend, Lego—the Danish company that makes awesome toys, including this Star Wars tie fighter belonging to a colleague—announced that it would no longer promote its products through The Daily Mail. Lego tweeted, “We have finished the agreement with The Daily Mail and are not planning any future promotional activity with the newspaper." Whatever the reasons may be for Lego’s announcement, it is seen as a major success for the Stop Funding Hate campaign, which asks businesses not to advertise in tabloids such as The Daily Mail, The Sun, and The Daily Express. Stop Funding Hate argues that it is committed to freedom of expression but that it is “horrified by the upsurge in media hate speech” that accompanied the EU referendum in the UK. In the lead up to the referendum and in its aftermath, the UK tabloid press has waged an unrelenting war on refugees and migrants with headlines like “Send in Army to Halt Migrant Invasion,” “Rescue Boats? I Would Use Gunships to Stop Migrants,” and “They Got What They Deserved." 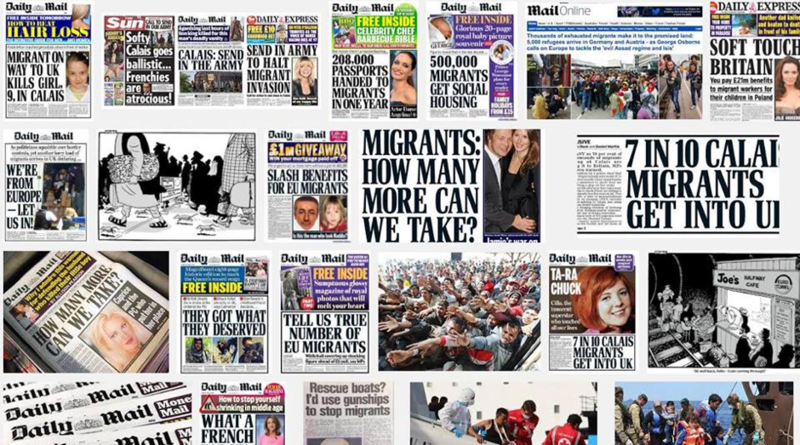 With little to no evidence to back them up, the tabloids have argued that migrants are thieves and criminals, taking benefits away from honest citizens, and causing irreparable harm to British culture and traditions. Perhaps the most important role for the private sector is to advocate for safe and legal migration flows to help grow the economies of both rich and poor countries. Using their market power to combat misinformation is also welcome in today’s world.